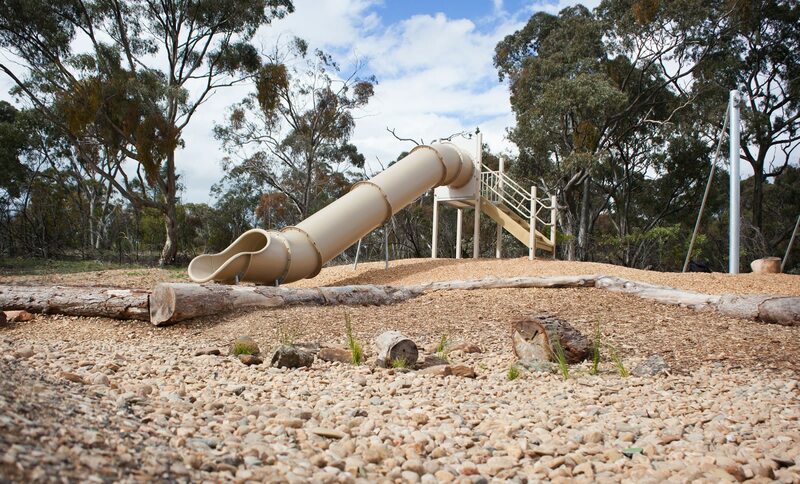 Sevenhill is a small township in the beautiful Clare Valley. 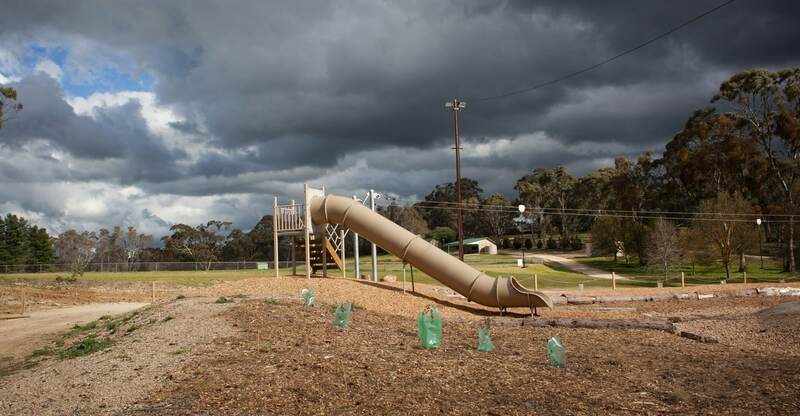 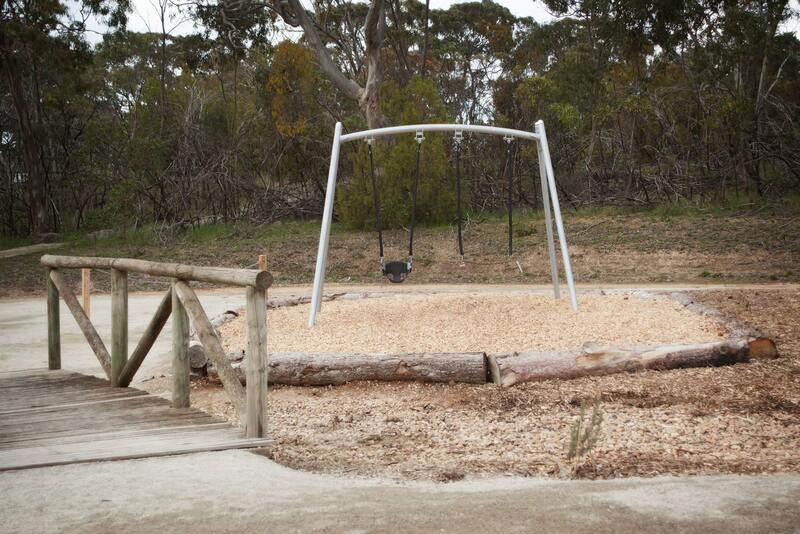 The Country Women’s Association had raised funds to develop a “blank, flat site” into a unique recreational area and community space for all ages to enjoy. 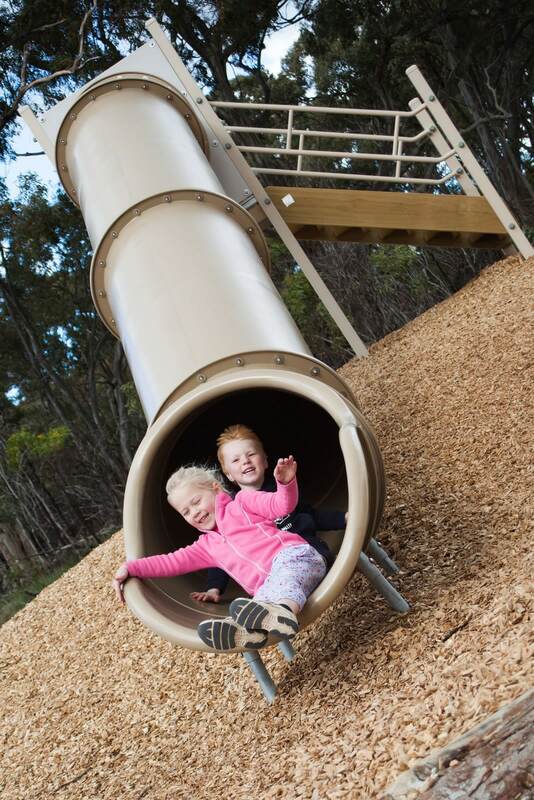 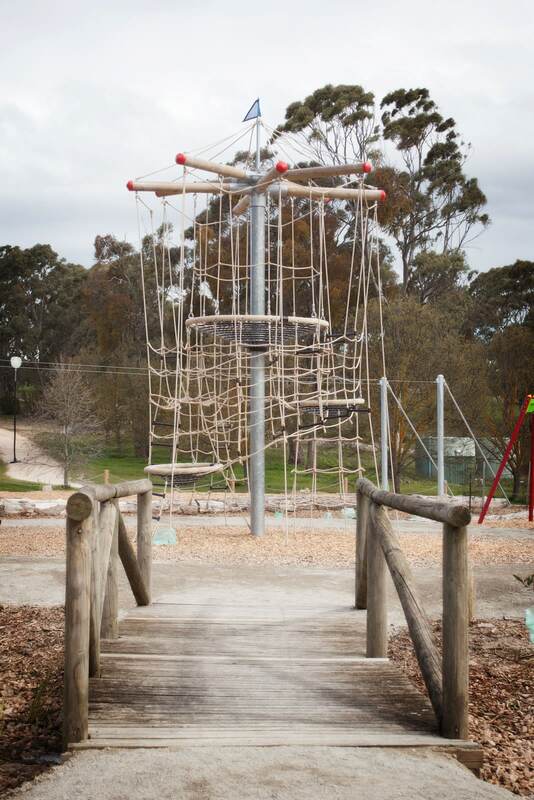 Unlike many other playgrounds in the region, they wanted equipment that encouraged adventure, safe risk taking and interaction with the natural environment. 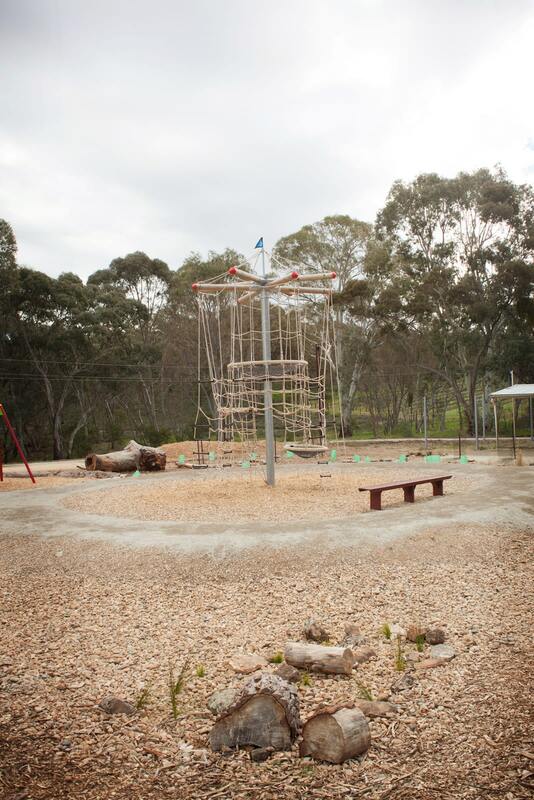 With a limited budget, they aimed to create a truly enticing space that drew families for activity and interaction. 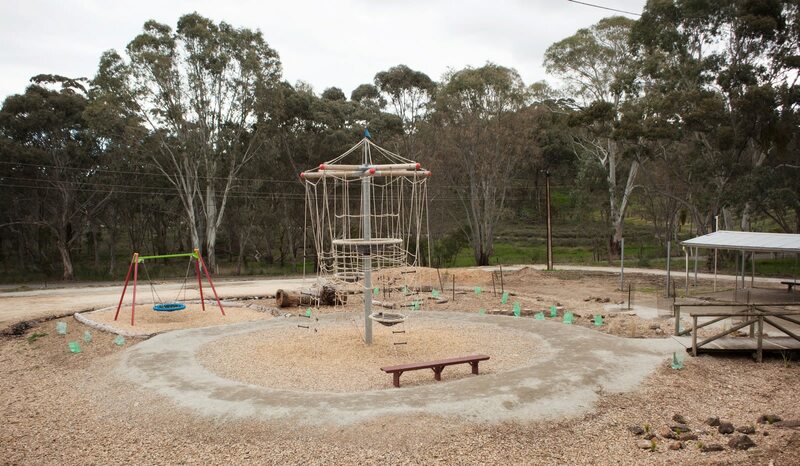 The blank canvas was transformed into a beautiful and thrilling community play space. 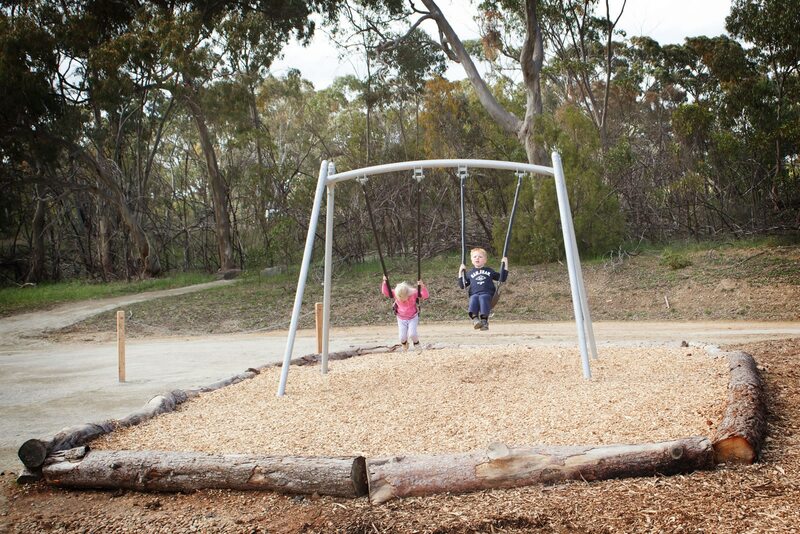 In reflecting the natural environment, there’s no plastic in sight! 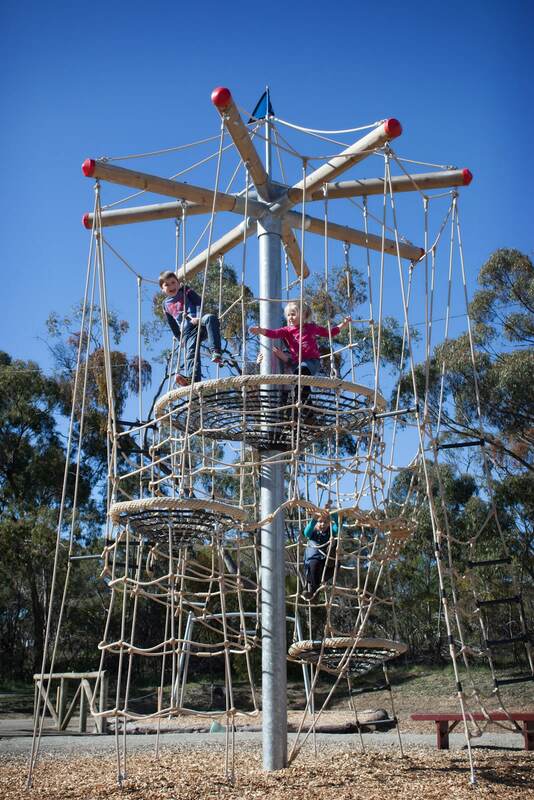 Working with Playground Centre, the Association decided on a “treehouse” play theme – with the centrepiece being a huge climbing structure called the Eagles Lair. 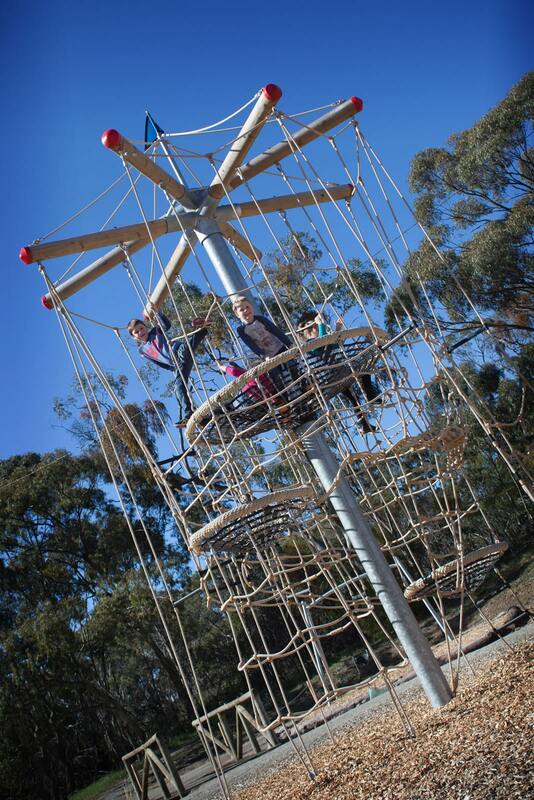 It’s the first in Australia at just over 6 metres high, with a huge 2-metre diameter suspended basket (and a unique stairway for parents needing to perform a “retrieval”!). 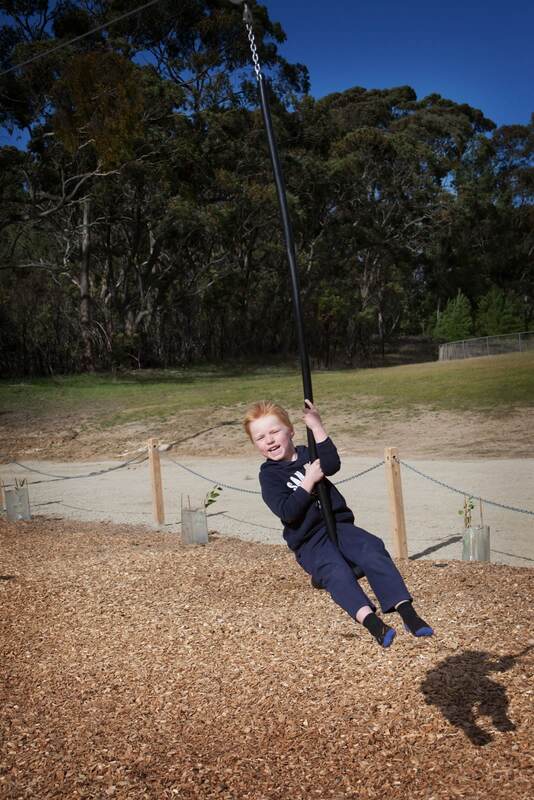 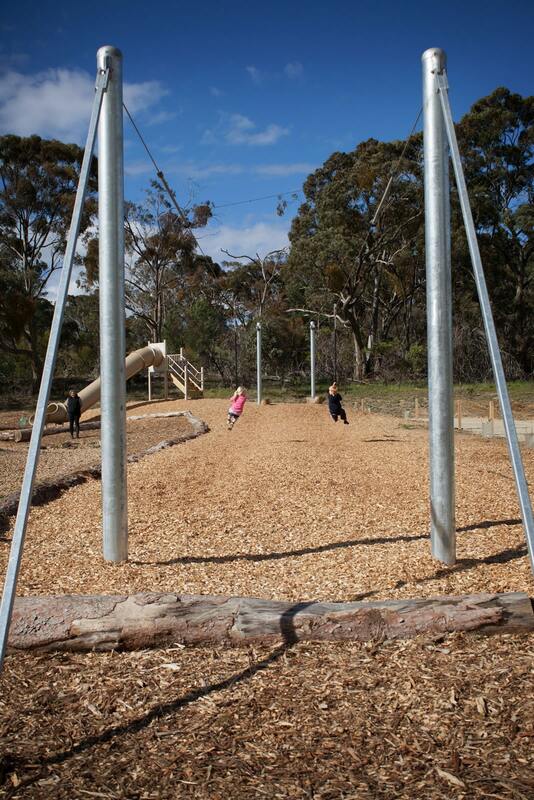 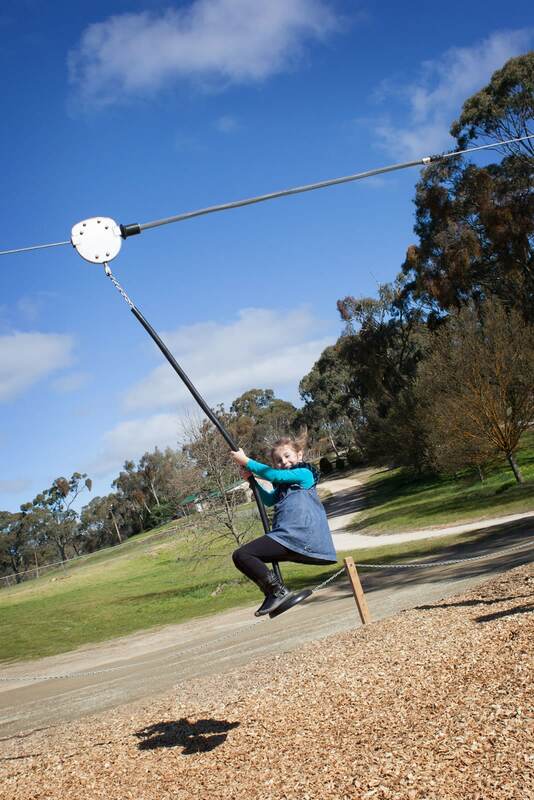 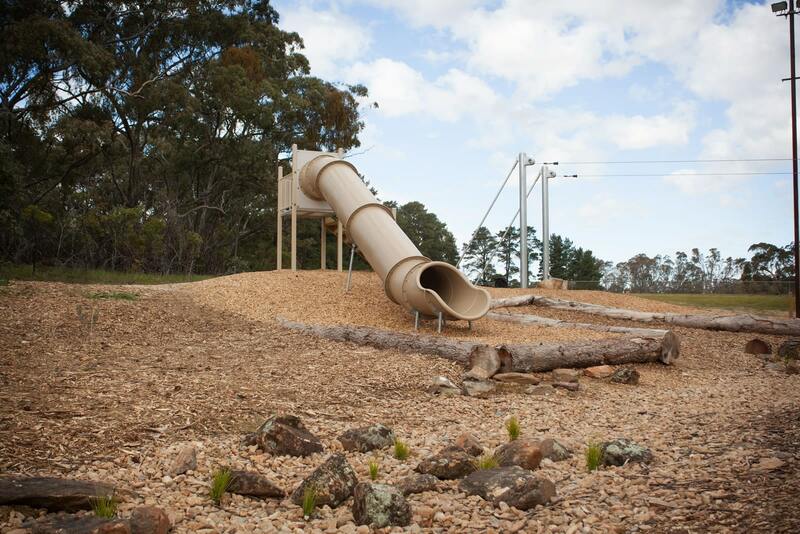 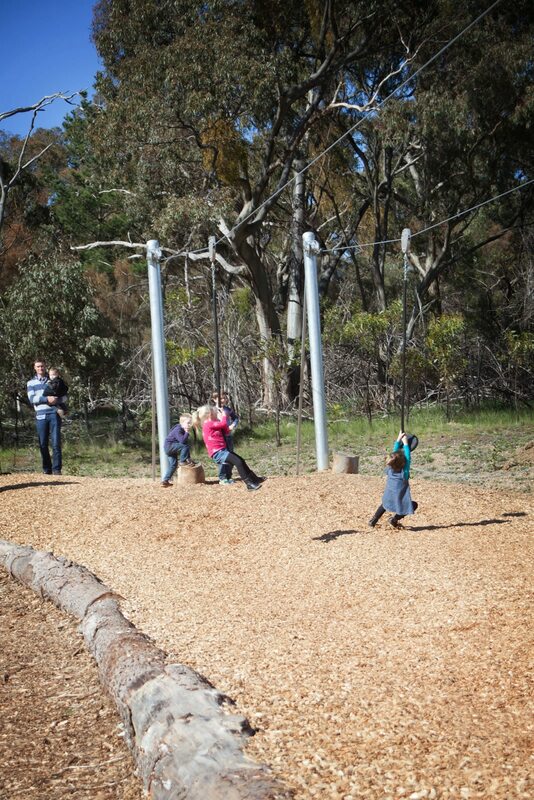 There’s fun and adventure at every turn, with a flying saucer swing, tubular slide, 30-metre dual flying fox, and spring-based “skating” equipment. 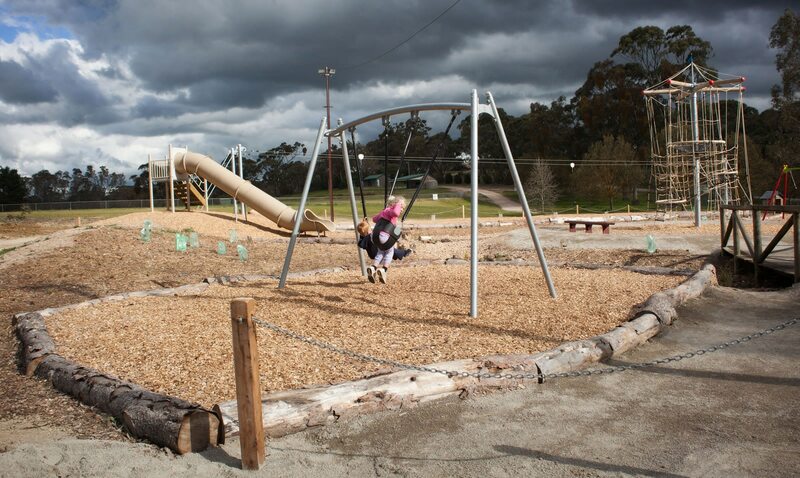 Situated adjacent to the famous Riesling Trail and adjoining a picturesque oval, the playspace will be enjoyed by thousands of people for many years to come.